Beaverton, Oregon - Puralytics, an emerging leader in advanced water purification technology for onsite treatment of critical health contaminants, will be introducing their unique SolarBag 3L at the Aid & International Development Forum in Washington, D.C., June 8 and 9, 2011. This conference brings together world leaders for development and relief efforts. The SolarBag 3L is the first portable water purifier to treat long term health related contaminants such as pesticides, herbicides, petrochemicals, arsenic, lead, and mercury, in addition to bacteria, viruses, and protozoa. The reusable SolarBag can provide clean water with as little as two to four hours of exposure to the sun, even on a cloudy day. The SolarBag weighs only 105 grams (4 ounces) and can be easily shipped in a 100 kg (222 lbs.) pallet of 600 bags, perfect for disaster relief in any area. The SolarBag can be reused over 300 times, ideal for development team or village use. The SolarBag is approved for household use in Kenya, and has been used in Uganda, Bangladesh, India, Haiti, Taiwan, Hong Kong, Mexico, the Middle East, and recently in Japan. The Puralytics SolarBag uses the latest developments in nanotechnology to greatly improve the overall quality of drinking water in remote locations. The technology is also available in an electrically powered Shield 500 that uses LEDs to activate the advanced purification process. 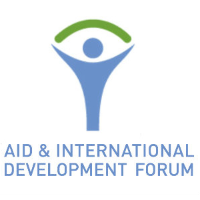 About the Aid & International Development ForumThe Aid & International Development Forum (AIDF) is a leading global event dedicated to the effective delivery of humanitarian aid and development solutions. It will bring together decision makers from UN, government, NGOs and aid agencies involved in the delivery of humanitarian aid relief to conflict and disaster situations as well as international development to countries across the globe.